Black and white. Jay Forrester, T.K. Finletter, Dr. Loomis, Major General J.F. 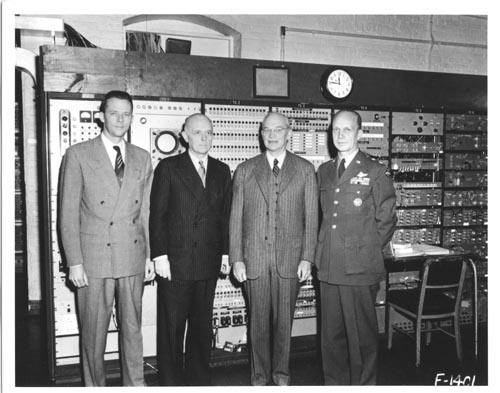 Phillips stand in front of the Whirlwind Computer.